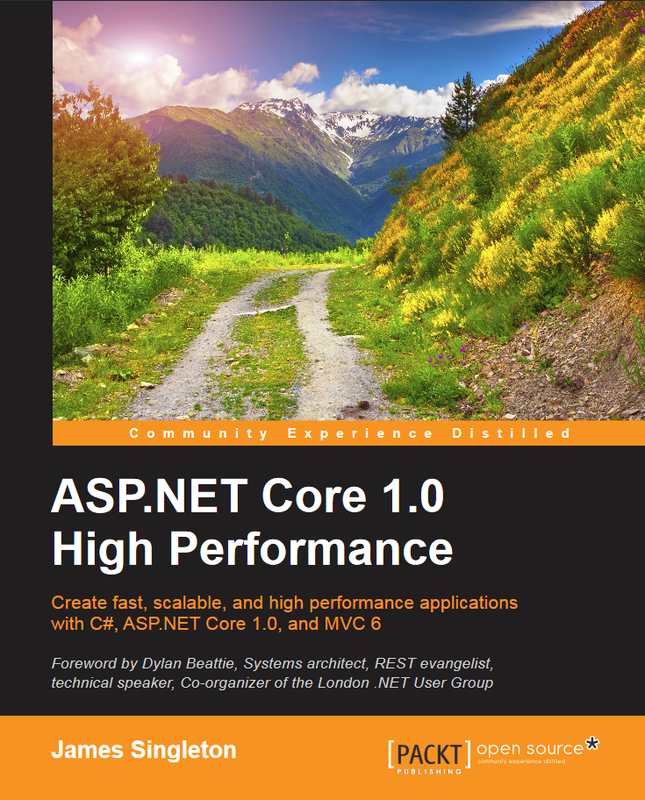 I’ve written a book on how to build high performance web applications with Microsoft’s new open source and cross-platform framework; ASP.NET Core. The main page for the book is here, and you can anonymously read the first chapter for free with no need to sign-up. The code samples can be downloaded from there too and are also on GitHub. It’s available to order on Amazon (UK and US) where you can look inside. I’ve set up a library and framework support matrix for ASP.NET Core and .NET Core at ANCLAFS.com. Feel free to add or update something via the GitHub repository.